Emma West is on trial, over a You Tube video of her on a Croydon Tram that was seen by over 11 million people. 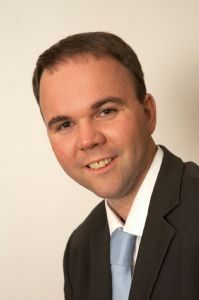 Without knowing the full facts about how the incident started or knowing Emma’s mental history Gavin Barwell, Conservative MP for Croydon Central, put a link to the video up on his blog which clearly showed her young son’s face and tweeted that “its people like her we could do without in this country”. Emma suffers from Bipolar which she is getting help for; she is also one of Gavin Barwell’s constituents. Barwell isn’t the only Conservative trying to have this poor lady persecuted; Cllr Vidhi Mohan was pleased to see the aggressive and racist response from other passengers, writing on Barwell’s blog: “Well said Gavin. The woman’s comments were deplorable and it was good to see they got a strong reaction from the other passengers on the Tram, demonstrating how the people of Croydon abhor racism”. In the video that the Tories are talking about, there is a violent reaction from a young black man and a black woman repeats the vile racist lie put about by the mass media that British people don’t want to work. The Conservatives Party have also been criticised over the handling of mental health issues in the past, when previous Croydon Central MP, Andrew Pelling suffered from depression, David Cameron wrote a personal letter to Croydon Central residents urging them not to vote for Andrew Pelling, this came as Croydon Conservatives released 7 pages of anti-Pelling notes highlighting Mr Pelling’s previous mental health problems. In November at a Hornchurch People’s Question Time, Mayor of London Boris Johnson made an off the cuff comment referring to John Biggs, Labour Assembly Member for City and East as “care in the community”. It would appear that the Conservative Party while condemning racism (excluding anti-White/British racism) and championing homosexuality is openly engaging in Mental Health Prejudice.